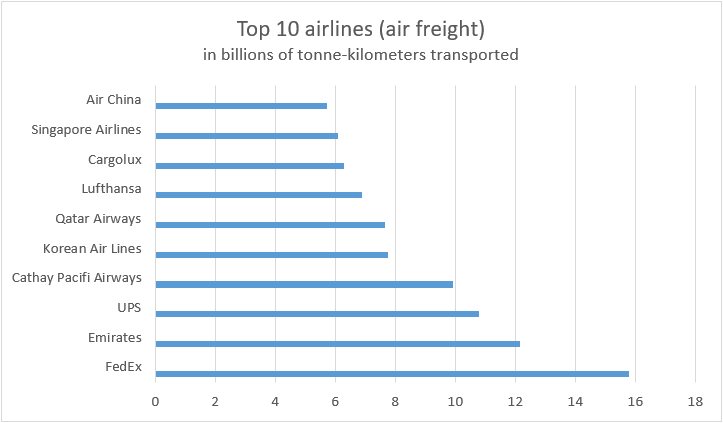 The holds of passenger carrying aircrafts are being used for freight more and more frequently. This formula offers a solution to the problems of the imbalance of freight traffic between countries who predominantly import cargo and those predominantly exporting countries, and vice versa. A plane that departs without freight can now still be rendered profitable thanks to the passengers it is carrying. This solution also allows airlines to offer a large number of flight frequencies. Several airlines have airplanes dedicated solely to freight, commonly known as “freighters” or “cargo planes”. Airlines tend to use modern aircraft to transport their cargo, the most common being the Airbus A300, the McDonnell Douglas DC-10 and the Boeing 747.